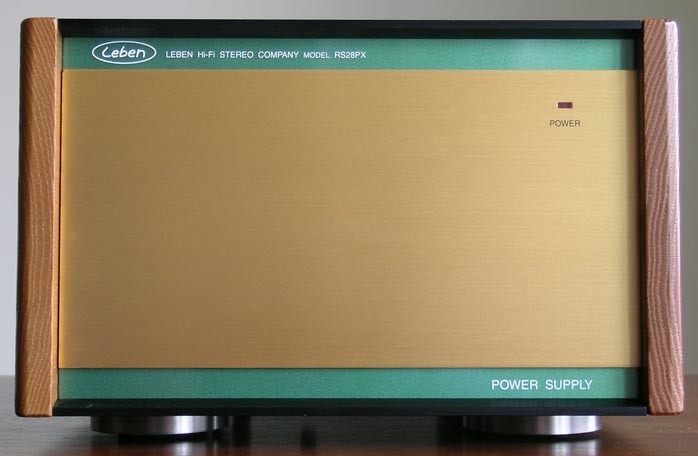 With the popular acclaim for Leben amplifiers and integrated amplifiers of exceptional musical merit, it was high on everyone's wish list that Hyodo San turn his attention to a preamplifier with the same general sonic attributes - a Premium Vacuum Tube Stereo Preamplifier. 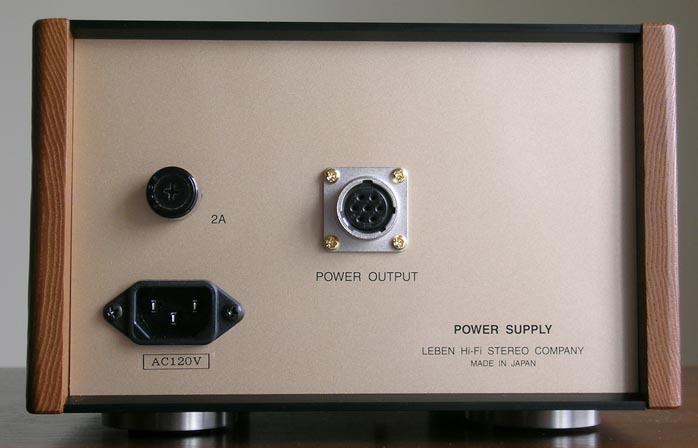 The Leben RS28CX is a two-chassis, full-function (with valve phone stage - yippee!) 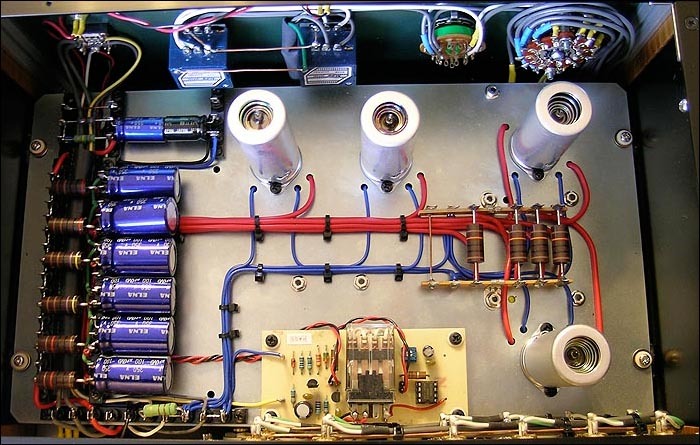 active preamplifier. The first chassis, the RS28CX, includes all the vacuum tube audio circuitry, inputs, outputs and controls. 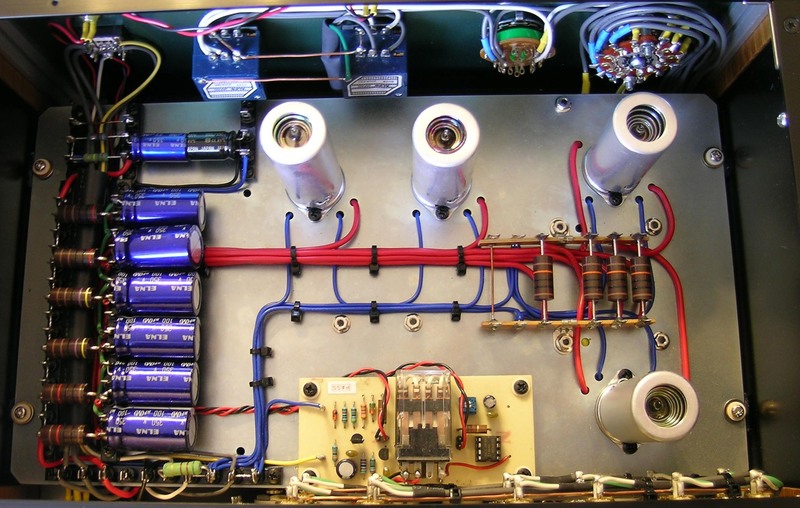 A dedicated vacuum tube power supply is housed in a second chassis. That RS28PX powers the RS28CX via umbilical cord long enough to place the power supply well away from the control unit and maintain maximum separation to minimize power supply noise contamination of the sensitive vacuum tube line and phono circuitry. The back panel of the RS28CX includes four RCA line level inputs and one phono input. There is one fixed output and one variable output. The variable output is handy to trim output to a subwoofer or optimize the main output to match amplifier sensitivity and noise to high-sensitivity loudspeakers. A side benefit is that it allows use of the full range of the volume control steps so you aren't restricted to a few coarse adjustments as is often the case with preamplifiers. The RS28PX has a removable power cord should you desire to do a little power cord rolling. I found both the Acoustic Revive Power Max II and Furutech G-320Ag-18 IEC cords to nicely complement the Leben's overall voicing. Its build quality is outstanding, with nice touches and high-quality parts abounding. The overall effect of the sage-green highlighted golden faceplate, the gold controls and wood side panels is tasteful and drop-dead gorgeous - elegance personified. Both the RS28CX & RS28PX include high quality footers for isolation. The front panel of the control chassis has a selector to choose between five RCA inputs (one phono), a tape monitor loop and a balance control. When the power switch is depressed on the RS28CX, it illuminates and another indicator lights on the RS28PX to confirm when it is fully powered up. A warm-up indicator flashes on the RS28CX until the audio circuitry has stabilized and then goes out as a green light illuminates to confirm that the RS28CX is ready for operation. I'm not an expert on the intricacies of valve phono stage design but I'll do my best to pass along my understanding of translating Hyodo San's design goals for the RS28CX's phono stage. Hyodo San divides classic valve phono stages into two basic genres: those that employ negative feedback (NFB) to achieve RIAA phono equalization à la Marantz Model 7; and those that use capacitors and resistors (CR) like the Harman Kardon Citation IV, which Hyodo San by the way considers to be "a masterpiece" in phono stage design. The vintage Marantz Model 7 uses three stages of 12AX7 amplification for RIAA equalization where NFB is applied from the 3rd stage cathode to the 1st stage cathode. Hyodo San says the advantages of the NFB type equalization as used in the Marantz are that it's easy to get good signal-to-noise ratio; doesn't require high gain; and isn't very sensitive to tube quality. The downside of the NFB approach is that the impedance at high frequencies becomes very low, resulting in hard and dry sound which negatively affects musicality. Hyodo San feels that the downside of the vintage Harman Kardon Citation IV style of CR equalization is a need for high gain and dependence on high tube quality. Implementation is more difficult than with NFB designs and because the tubes are directly amplified, only the finest can be used. Hyodo San feels that the difficulties of the CR type of equalization are worth the extra design trouble because it is very stable in the high frequencies and provides superior musicality by being much cleaner sounding and more natural and involving. Hyodo San's Leben RS28CX is equipped with a CR RIAA equalizer of NOS General Electric JAN 12AT7s and the finest parts quality available for an RIAA accuracy of +/-0.3%. Hyodo San voices the circuit by ear to provide the most musical, natural and pure presentation possible so the listener gets both the best of both worlds: natural sounding high-performance sonics and engaging musicality.